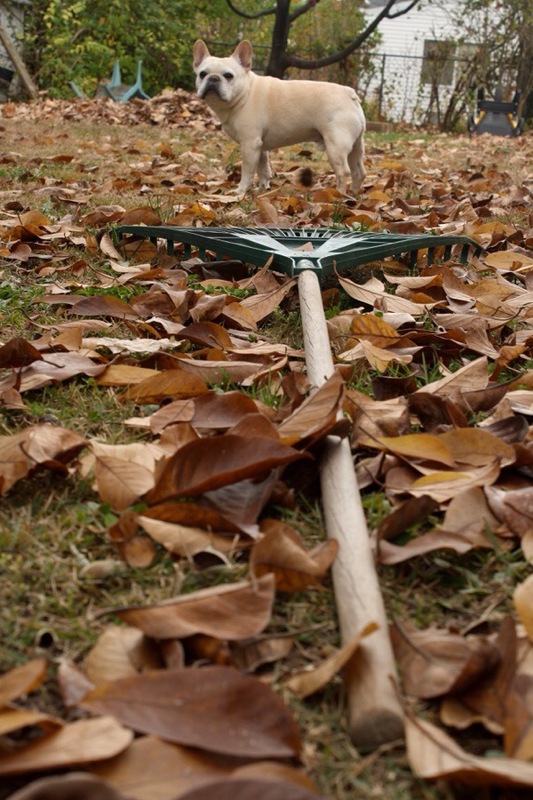 11/365 I was taking photos of the rake in the leaves to practice with my camera and the dog wandered in to glare at the rake. 12/365. Beyond frost this morning, straight on to icy. 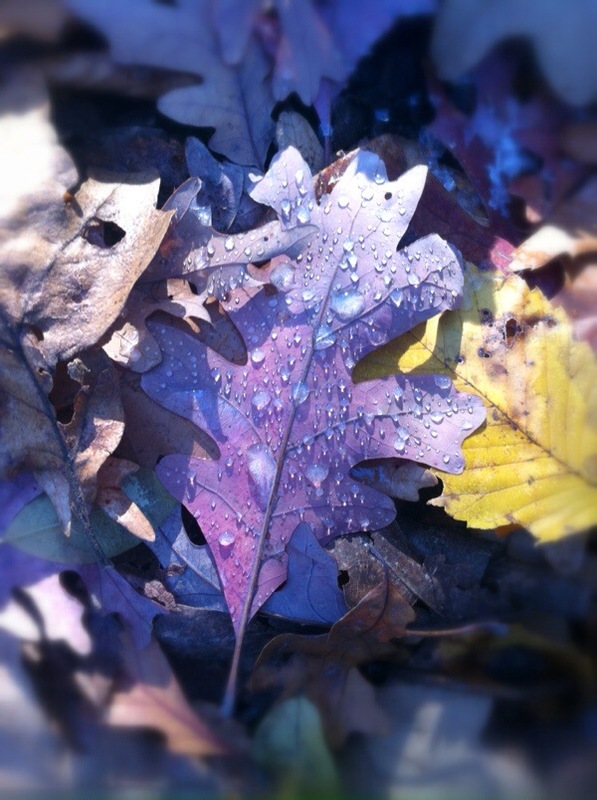 I caught the ice on the fallen leaves with my iPhone using Camera+. I messed about with it in Snapseed on the iPad. 13/365. 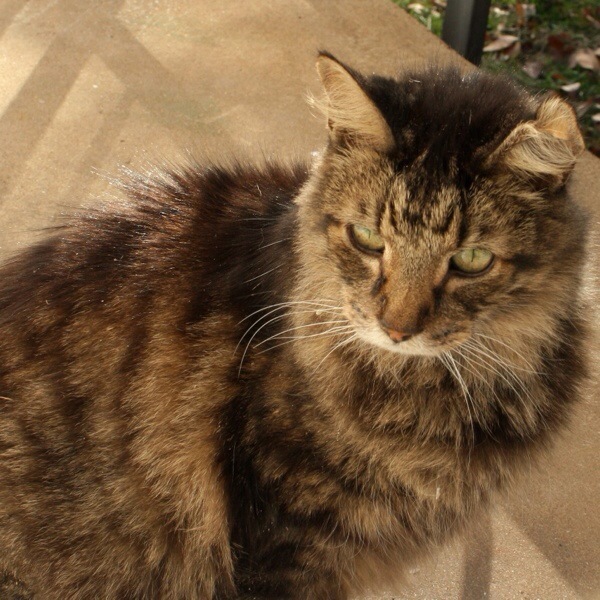 Pickle the cat deciding whether to come in or not. 14/365. You always knew there was a feet shot coming! 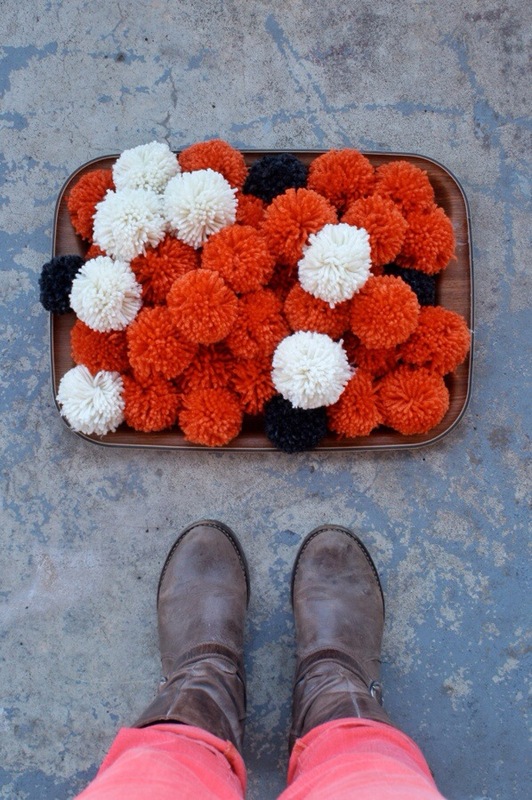 Here it is, with pom poms. 15/365. 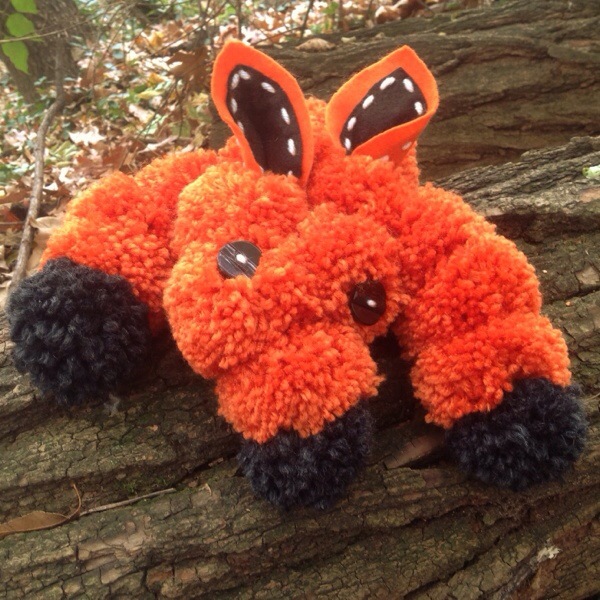 The finished pom pom fox hiding out in the woods. 16/365. A cloudy day peeking up at the bird feeder. 17/365. 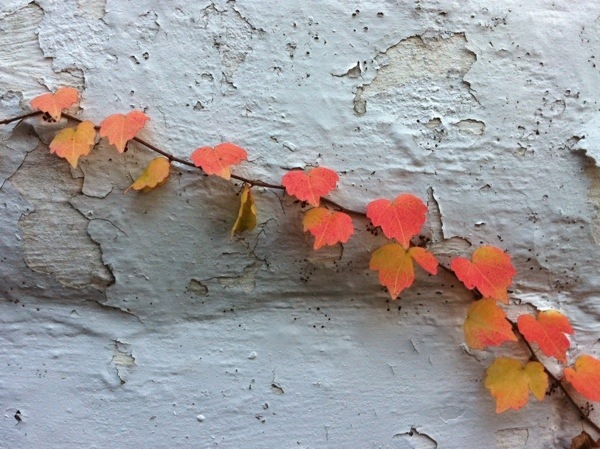 I spotted the climbing pink leaves behind the bins and had to snap a photo with the phone. How was your week? I think I need to make a promise to all of us to stop with the leaf photos! The very windy day yesterday took care of that as it blew most of them down. I want to take more indoor photos on my camera, so that I can get some lovely Christmas photos (yes, I really need a month of practice). Are you thinking of Christmas already? I have to plan a way out as I have parcels to send to the UK. There is also Christmas cake to make and mincemeat for mince pies. I have a few presents bought and I am feeling quite smug! 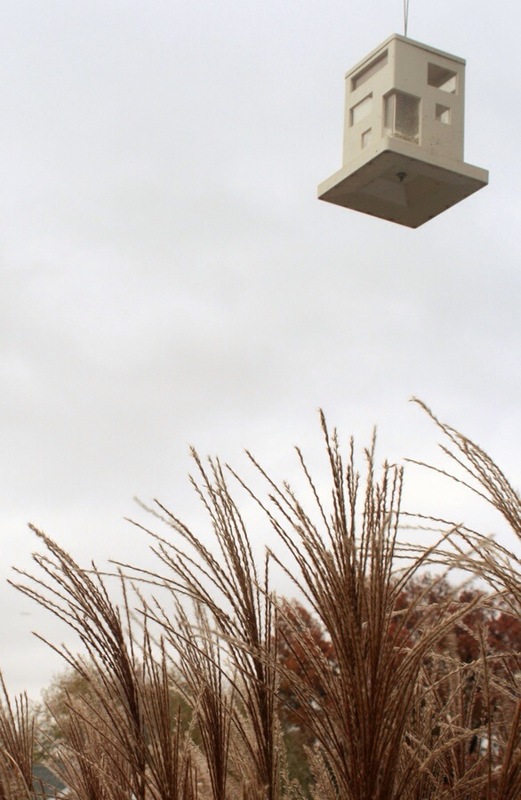 I love the bird feeder shot; I immediately assumed it was some sort of sculpture being air-lifted onto a site. Very tardis-like. It is a pretty cool feeder, especially from underneath it!